Now that Halloween is over, it means that it's time for all the Christmas holiday projects. I don't know about you, but I am overwhelmed already. 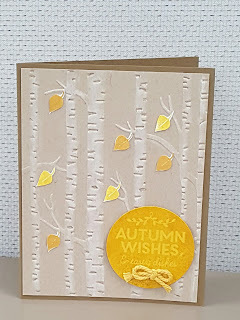 I am trying to get ready for the first ever OnStage Local event for Stampin Up. I don't know how many swap cards I will be making, but I am trying to have enough to get some good swaps back. Speaking of swap cards, I participated in a SU! Holiday Catalog swap and wanted to share one of the cards I received. 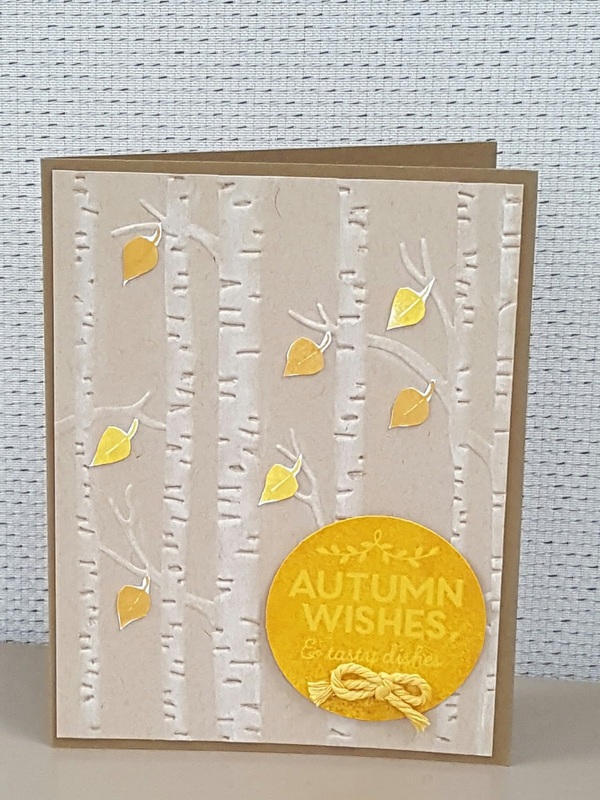 There was no name on the swap, but it is beautiful fall card. I love the colors, but them again, I love the colors of autumn.